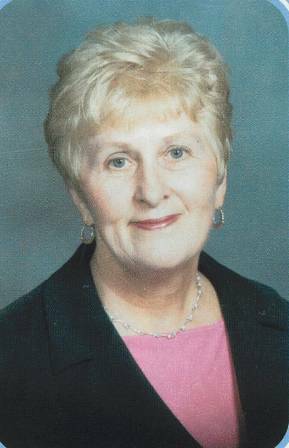 Linda Jean Stephens Schoonmaker of Kill Buck, died early Saturday morning, May 26, 2012 following a courageous battle with retroperitoneal sarcoma. Born in Salamanca, NY on December 3, 1945, she was the daughter of Helen Kyler Stephens of Zephyr Hills Florida and the late Fredrick Stephens. One June , 1967, she married Jon Schoonmaker, who survives. A 1964 graduate of Salamanca High School, she worked as an operator for New York Telephone in Salamanca and Olean from July 1964 through August, 1971. She was a YMCA preschool assistant teacher in 1980. For 14 years she worked at Hampshire Mills as the shipping and receiving clerk. In 1993, Linda graduated from Jamestown Community College with an associate's degree in Early Childhood Education. She then worked as a substitute pre-school teacher at J.C.C. and as assistant teacher at the Little Valley United Methodist Preschool. Her love of children was also shown through her volunteer work with the Memorial Library of Little Valley Story Hour and the Little Valley Holiday Cheer Program. In May of 1995, Linda moved to Orange, Virginia, where she worked as a day care supervisor at the Orange County Nursing Home and the Early Learning Center in Orange and as a Sunday nursery director for St. Thomas Episcopal Church. In 2005, she moved to Baltimore, Maryland, to be a live-in nanny for Anna, Catherine and Cav Gillepsie. She returned to the Salamanca area in 2010 because of failing health. Linda is also survived by her daughter Heather Schoonmaker of Oak Island, North Carolina; her son Jason Schoonmaker and his wife Brianne and daughter Maddisyn Jean of Little Valley; her brother and wife, Jim and Ginger Stephens of Zephyrhills, Florida; her sister and husband, Sharon and Paul Jusko of Hamburg, NY as well as nieces Sheila Laigle and Tracy Jusko, nephew Kris Jusko and grandnieces and nephew Megan, Bella and Kris, Jr.; brother-in-law. Gary (Kay) Schoonmaker, Sun Prairie, Wisconsin and their children, Erica, Erin, Jon (Kim) Schoonmaker. In addition to her father, she was predeceased by her beloved nephews Jon, Paul and Steven Stephens. There will be no visitation. A memorial service will be held at St. Patrick's Church in Limestone, NY on Saturday, June 2, 2012 at 10 AM with Rev. Patrick Melfi as celebrant. In lieu of flowers, Linda requested that donations be made to the Muscular Dystrophy Association, 5500 Main Street, Buffalo, NY 14221; Little Valley Holiday Cheer in care of Ann Poole at 618 Erie Street, Little Valley, NY 14755 or Homecare and Hospice at 1225 W. State Street, Olean, NY 14760. E-condolences can be sent to john@orourke-orourke.com or facebook.com/onofh.